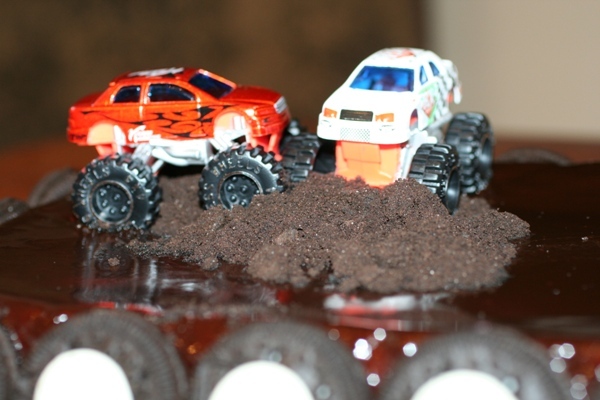 This Monster Truck Cake recipe is basically an adaptation of my Buttermilk Cake with Chocolate Sauce Recipe. This, however, uses the batter in one sheet cake pan, rather than three round cake pans. 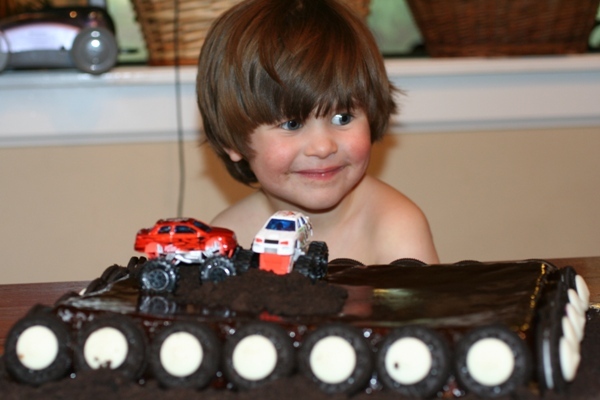 For Garrett’s 3rd birthday, he wanted a Monster Truck party theme. (This little boy loves anything with an motor!) But he still wanted our family’s traditional birthday cake. Now, I’d love to say that this is an original idea, but it’s not. I actually saw this cake when we were out one day at a kid’s play place. Another family there was having a party, and this was how that little boy’s cake was decorated. This was pretty simple to do. We took a package of Oreo cookies and white chocolate coin-shaped meltable chocolate. (I got those from my local crafts store. 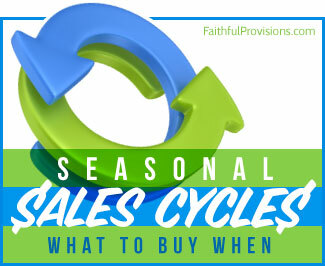 If there is a Joann’s or Michaels near you, you can usually find them there. Be sure to check your Sunday Newspaper Insert for a coupon. I got mine for 40% off.) 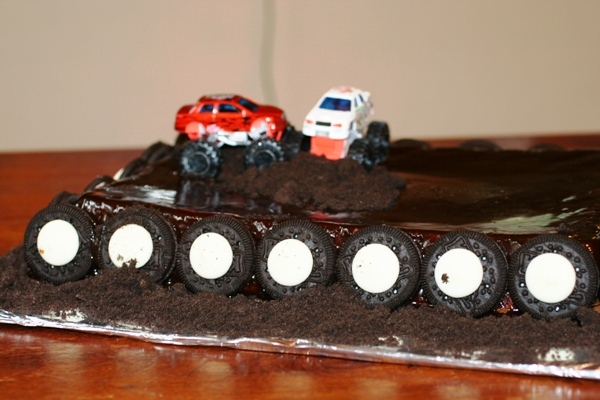 Whatever icing tube you use to write on top of the cake, use it also to “glue” the tokens to the Oreos, making the “tires” for your Monster Truck Cake. 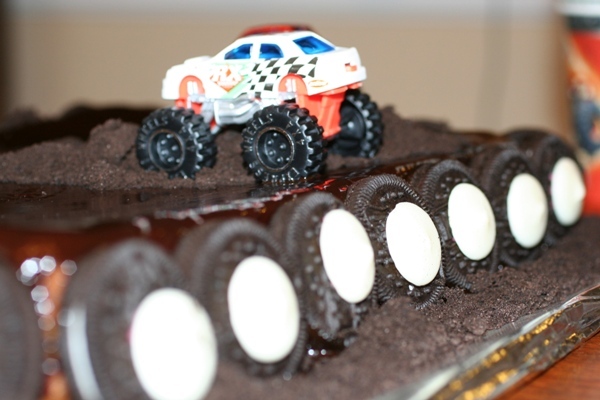 Use it again to glue the tires around the sides of cake. We went to the dollar store and found some Monster Truck plates for practically nothing. Then we found Monster Truck toys, four for $1. We bought lots of those and used them as cake decorations as well as party favors. The girls who came loved them too! At this age, we keep our birthday parties small, inviting just family and close friends. This cake will serve 10-15, depending on how you cut it, so it was perfect. I don’t plan lots of activities because my kids just like to play with their friends. We brought our train table into the living room and let the kids open their party favors first thing. They played while the adults visited. Garrett loved every minute of it. You don’t have to have an extravagant birthday party and wear yourself out for your kids to have wonderful memories. In a stand mixer (or using hand mixer) cream together sugar, butter and vanilla for the cake. Add eggs, beating well after each addition. Then slowly add buttermilk and flour, alternating. Pour batter into a 12x18 Sheet Cake Pan, lined with parchment paper or buttered and floured. Bake at 350 for 30-35 minutes. Depending on how your oven cooks, stick a toothpick in the center to see if it comes out clean. If not, continue baking, being careful to check every two-three minutes for doneness. Mix together sugar and cocoa. Then whisk in milk and vanilla, and add butter. Stir over medium heat until slightly thickened. Pour warm sauce over the cake letting it drip over the sides. his face is priceless. 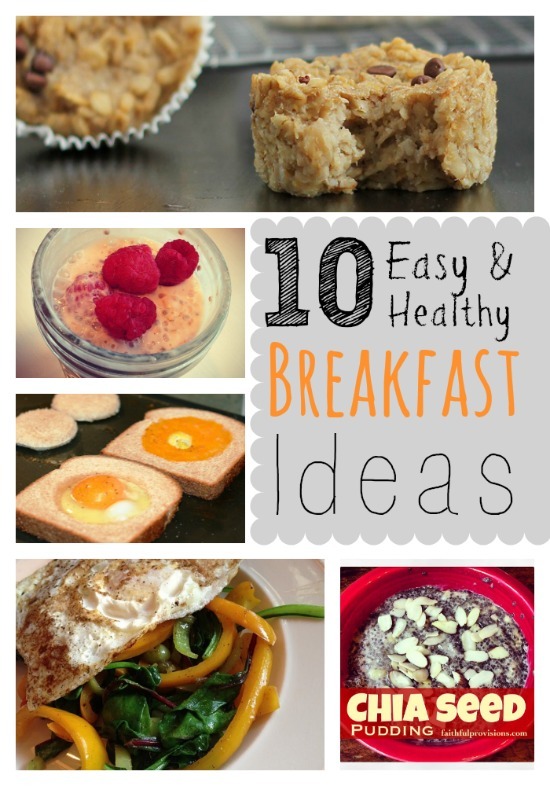 The recipe looks yummy! This is adorable! I love making fun cakes like this and recently we made a pirate ship cake with my son. Would love to see your pirate ship! I was reading the Feb. issue of Home Life Magazine at a funeral this afternoon and saw a recipe on page 60….a chocolate cake in the article about the Valentine’s Day Dinner. I think the recipe was one shared by you. If so would you mind sharing it again with me. Do not know the legals involved between you and the magazine. If there is a problem or you just can’t I will understand.